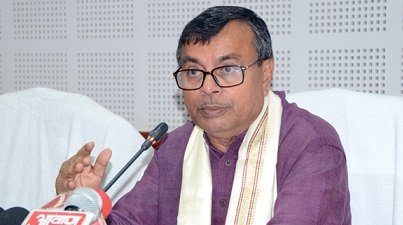 Tripura Education Minister Ratan Lal Nath on Saturday said that the State will soon have a separate technical education directorate. Nath said that technical education would be separated from higher education while speaking at the second M L Dasgupta Memorial Lecture and Seminar on ‘Good Governance in Technical Education’ organized by the Institution of Engineers (India), Tripura State Centre. Speaking on the same vein, Prof Arunoday Saha, former Vice Chancellor of Tripura University, who was also present as guest of honour, said that Tripura should have had a separate directorate for technical education much earlier. Dr Swapan Bhowmik, head of the department of mechanical branch of NIT Agartala, also emphasized on need of a separate directorate for technical education in Tripura. He said that it will facilitate in developing the overall technical education system and will play a vital role in social and economic development of the State. He also said that a separate directorate for technical education will also help in human resource development of the State and also the country by creating and providing more skilled manpower, enhancing industrial productivity and improving the quality of life of its people.